"We have reviewed the scientific literature on GE crop safety during the last 10 years…. We selected original research papers, reviews, relevant opinions and reports addressing all the major issues that emerged in the debate on GE crops….The scientific research (1783 scientific records) conducted so far has not detected any significant hazards directly connected with the use of GE crops. "The government’s approval of GMO crops [is] based on studies conducted or funded by the companies [who own] these patented organisms, concluding that GMO food is “substantially equivalent” to its non-GMO counterpart. Studies from these companies have later been deemed false. Critics of agricultural biotechnology argue that foods whose seeds were produced using genetic engineering have never been properly tested, largely because the companies that develop GMO crops are responsible for evaluating the safety of their own products. 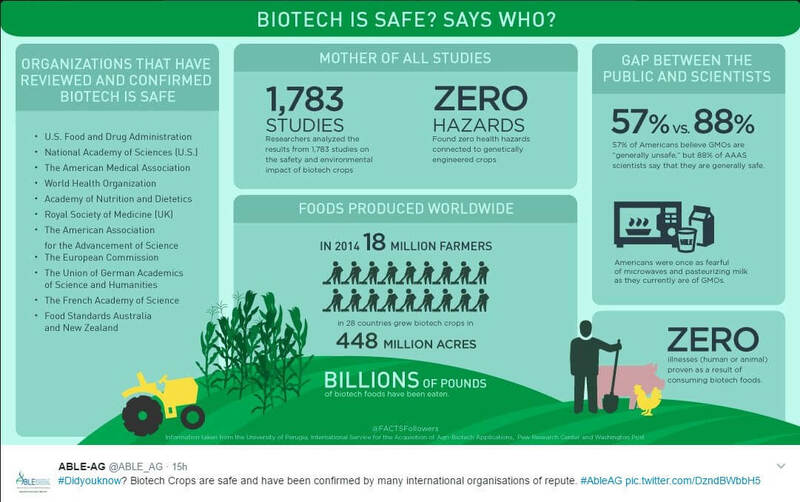 They claim that safety studies in the United States, the world’s largest market for biotech seeds, are not required and when they are done, they are funded by the companies. This situation, critics say, presents a serious conflict of interest, because biotech companies cannot be trusted to conduct the studies objectively. Those claims are not accurate. The US approval system was set up to require companies to pay for and conduct initial safety studies. While the system is technically voluntary, no crop has ever been sold without extensive testing, which in many cases is done by independent scientists. The research protocol and data are published in peer reviewed journals and evaluated by government regulators. But approval studies represent a fraction of overall GMO safety studies. 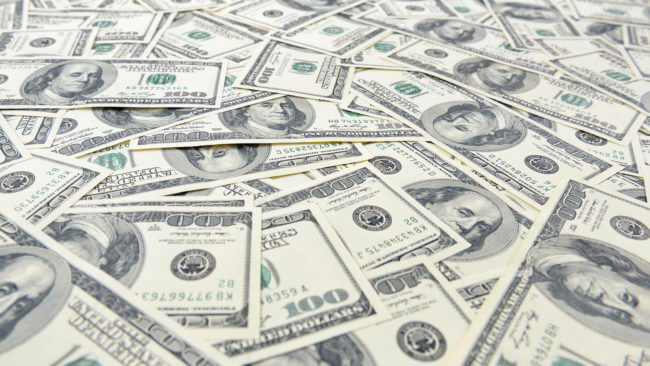 Most studies have been conducted by independent scientists who have no financial relationship with the biotech industry. 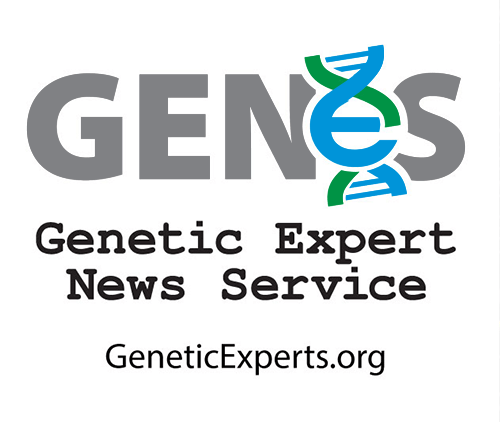 Every major international science body—more than 280 organizations—has reviewed multiple independent studies in coming to the consensus conclusion that GMO crops are as safe or safer than conventional or organic foods. These studies have consistently validated the results of industry safety research. The agrichemical companies are unlikely to support research that may undermine their financial interests. Meanwhile, there is a declining amount of public funds available for agricultural research …. That means less funding for independent studies to assess health and environmental risks of genetically engineered food and crops. The assertion that biotech companies do the research and the government just signs off on it is inaccurate. In practice, companies finance and execute voluntary testing, as that’s the way the US approval process was set up in the 1980s. But absolutely every biotech firm “volunteers.” That’s because the FDA can stop any GMO crop from going to market. Moreover, regulatory review by the USDA and the EPA is mandatory in every sense. This shared regulatory responsibility is divided up based on each agency’s expertise. The FDA evaluates all foods grown from genetically modified seeds to confirm they are “substantially equivalent” to their conventional counterparts, ensuring that the new foods are nontoxic and nonallergenic. The USDA evaluates GMO crops to see if they will pose a plant pest risk once released into the environment. And as a final layer of regulatory oversight, the EPA evaluates insect- and virus-resistant GMO crops, “plants that are pesticidal in nature,” the agency says, to ensure they won’t pose a threat to the environment or human health. International standards for industry-funded research are similarly rigorous. The European Food Safety Authority (EFSA) mandates that biotech companies demonstrate their products are substantially equivalent to foods already available in EU supermarkets, before the new items can be sold. Food safety rules established by the UN’s Food and Agricultural Organization (FAO) likewise declare that studies must identify any possible allergen or toxin that may be present in GMO crop varieties before they can be commercially grown. No other foods, including organic products, intended for human consumption face such extensive safety evaluations. [T]here are …. mechanisms within science to protect experiments from [industry] influence. Experimental design and the peer review system should protect research from bias and, on top of that, [most research] institutes have contracts with industry which …. allow researchers freedom to publish the facts as they are discovered. In a meta-review published in a peer-reviewed, high impact factor journal, Critical Review of Biotechnology in 2013, the authors evaluated 1,783 research papers, reviews, relevant opinions, and reports published between 2002 and 2012, a comprehensive process that took over 12 months to complete. The review covered all aspects of GM crop safety, from how the crops interact with the environment to how they could potentially affect the humans and animals who consume them. The main conclusion to be drawn from the efforts of more than 130 research projects, covering a period of more than 25 years of research, and involving more than 500 independent research groups, is that biotechnology, and in particular GMOs, are not per se more risky than e.g. conventional plant breeding technologies. 58.3% of published papers ‘have no financial or professional COIs, as the authors were not affiliated with companies that develop GM crops and also declared that the funding sources did not come from those companies,’ Sanchez reports. Biotech companies are required to provide data demonstrating the safety of their products. 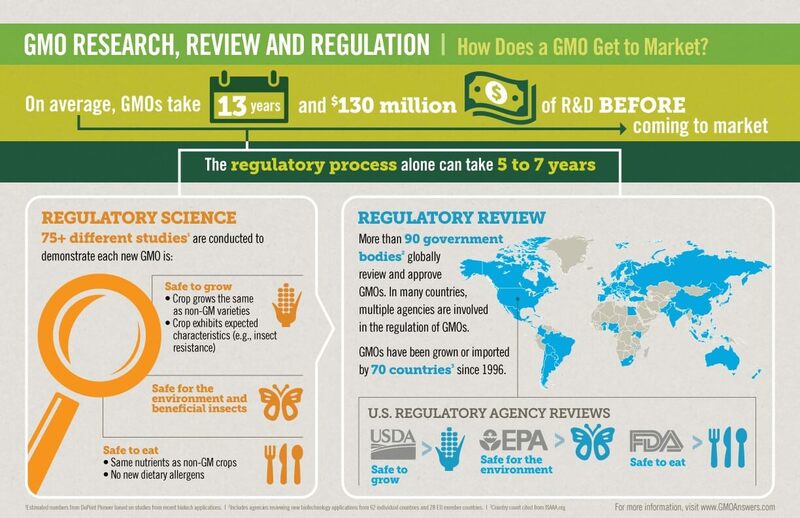 Extensive regulatory oversight and public funding of independent GMO safety studies have prevented biotech firms from unduly influencing the research. Additionally, there is no evidence that biotechnology companies falsify their data or otherwise produce unreliable safety studies. Moreover, more than one thousand safety studies undertaken over the past 30 years were produced by independent researchers and government agencies. There are no substantial discrepancies between the safety findings of industry-funded studies and government and university-produced research.